NextPho21 provides the decisive support to the European Photonics21 community for developing a European industrial strategy for the upcoming 10 years. Strategy development will involve more than 3000 Photonics21 and end-industry experts in an open, transparent and democratic decision-making process. The strategy approach focusses on future market opportunities arising from the megatrends like digitisation, urbanisation, smart anything everywhere which disrupt business models and whole industries. Through developing the joint strategy, the European photonics industry will be in the pole position to become a key driver of this revolution. Furthermore, NextPho21 will set up a management and steering platform for implementing the current Horizon2020 Photonics21 Public Private Partnership strategy. It provides strategic and organizational support to the PPP boards and Horizon2020 Photonics KET (PPP) projects in reaching its objectives, namely to create growth and jobs in Europe. This includes a central public relation and dissemination services to the projects demonstrating the impact of photonics for wider deployment of photonics in end user industry products. NextPho21 implements a dedicated set of actions to increase the investments in photonics research, development and manufacturing by European venture capital funds and the European Investment Bank to bring photonics innovation to the market. It will trigger cross regional and cross member state strategy development and investments in photonics respectively by providing a coordination and support platforms to these stakeholder groups. 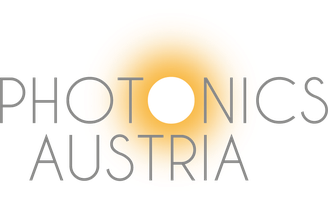 The NextPho21 project consisting of the Photonics21 secretariat and 12 National Technology Platforms - representing more than 25 photonics cluster – runs at the request, with the consent and on behalf of the Photonics21 PPP Boards which will closely steer all activities of the project.